I apologize if you have been wondering how Ms. Gabrielle has been doing over the last month. It has been an absolute whirlwind since we returned home and there has been little time for updating this blog. We have battled the stomach flu for 9 days which meant several sleepless nights and children vomiting on bedding and each other. 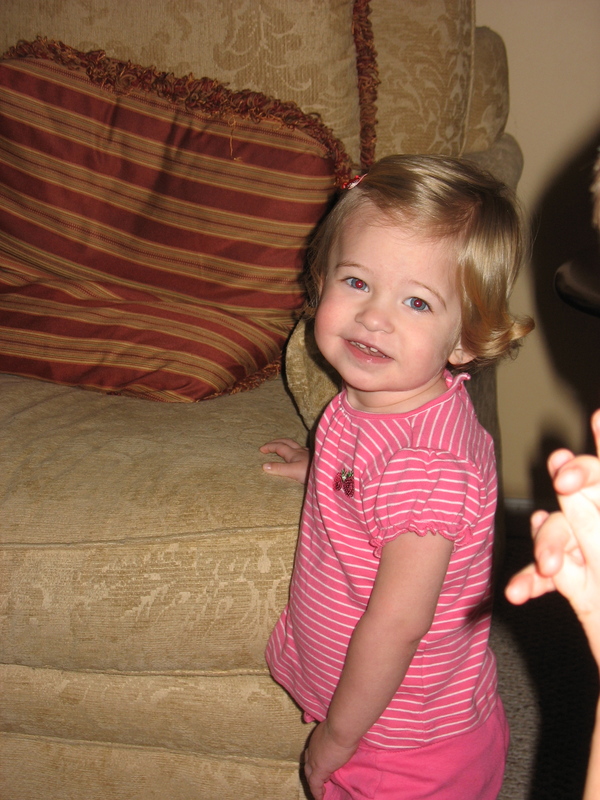 Gabrielle had two other viruses the first of which landed us in the ER at Duke less than 48 hours after arriving home. We had a CT scan of the head completed which ruled out hydrocephalus and by the time we were discharged she was acting like herself again. We had an OB appointment and ultrasound which confirmed that we’re expecting #6 and that it’s a girl. I began homeschooling the three oldest a month ago in between Gabrielle’s 8 weekly therapy appointments and I still wonder why I can’t keep up with the laundry! Okay, now for the latest on Gabby. She is doing great! We have not seen any seizures. She continues to take Trileptal, Lamictal, and Klonopin at bedtime. Our neurologist, Dr. Orrin Devinsky, recommended we not reduce any meds for at least one year after surgery. We will return to NYC for follow-up appointments in November at which time they will do an EEG just to take a peek at things. Gabby is walking pretty well on her own now. She is more shaky just after waking and then as the day progresses her walking becomes more steady and natural looking. The video is from first thing in the morning so she is a bit more unsure of that left leg. As of last week, Gabby no longer requires the AFO(lower leg brace) on her left leg. 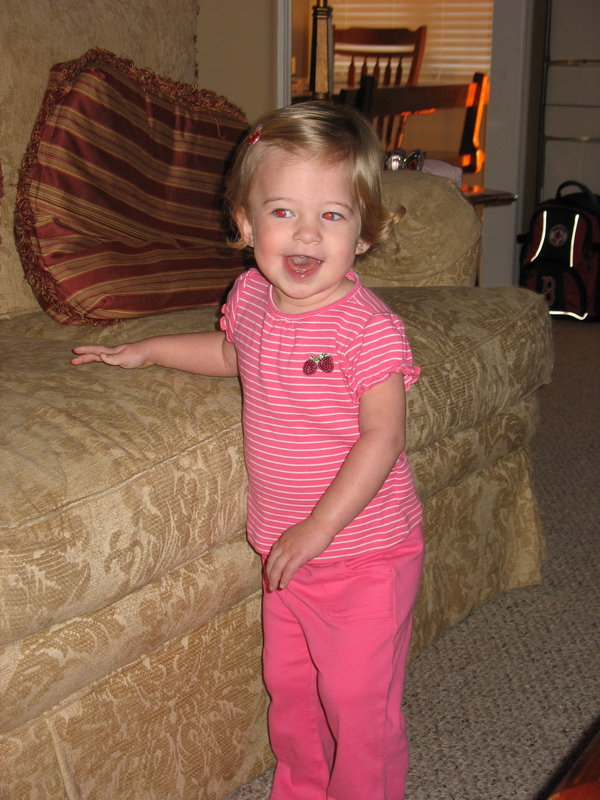 Her left ankle has regained enough strength that she is now able to walk around barefoot again! Just another thing I have grown to appreciate through all of this…seeing my child prance around with her little piggies showing. Gabby’s left arm has been slow to show any return. Her therapists have begun using electrical stimulation therapy to see if they can increase function of her left lower extremity. Gabrielle’s speech is still very limited although she is communicating fairly well through signs, pointing, nodding, and shaking her head. 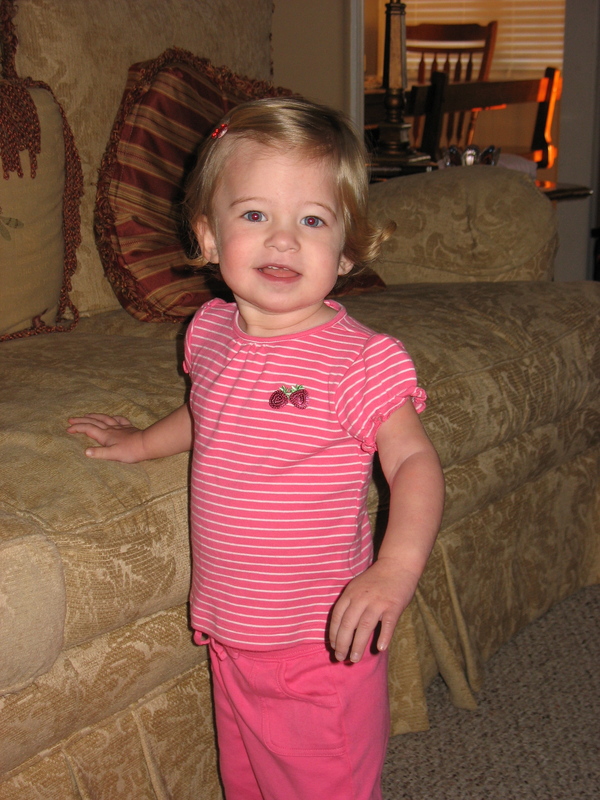 She is smiling a lot, laughing, and loves to give hugs and kisses. She is sleeping well again and loves to interact with her siblings. We are loving being back home together again and the absence of daily seizures is an enormous weight that has been lifted from our shoulders. We praise God for leading us to this point and giving us this much treasured time together. Hopefully another update will follow soon! Thanks Kelly for the update. The pictures are precious. It was good to point them out to our kids so they could put a face to the one they have been praying for daily. Praising God with you. Thanks so much for the update. I have had friends and family asking how she was doing. Now I know and can share the good news. Congrats about the new precious little girl growing inside. Praying for you, her and for continued healing with Gabby. Wow! We have been anxious to hear how Gabby is doing and what great news. We are rejoicing with you guys at her stamina and accomplishments thus far. God is so amazingly good and her progress is the result of your faith in Him. And congrats on baby #6! Thinking of you constantly and keeping you in our prayers daily. Hi Gabby, This is Chaya Herzog your former roommate in NYU Hospital. We were so happy to see how good you are doing, and we are wishing you all the best, thanks for updaiting us all the times. i’m doing great, i’m walking and running around. It is so good to hear from you and to know that you are doing well. We think of you all the time! We would love to keep in touch. I’m so glad you found our blog.